Postcard TW-1957358 from Taiwan shows the Tropic of Cancer Monument in Rueisuei (瑞穗) Township, Hualien County (花蓮縣), Taiwan. The Tropic of Cancer is the most northerly circle of latitude at 23.5ºN on the Earth that may have the Sun directly overhead at the time of the Northern solstice (夏至). In 2016, this "shadowless" effect occurs at noon local time on June 20 at 23.43715°N when the Northern Hemisphere is tilted toward the Sun to its maximum extent. The.Tropic of Cancer Monument was originally placed to the west of Rueisuei Train Station in 1933. It was relocated to to the Wuhe (舞鶴) Terrace on Provincial Highway No.9 in 1981 due to expansion of the Eastern Line Railway. However, the new location is actually two kilometers south of the Tropic of Cancer. 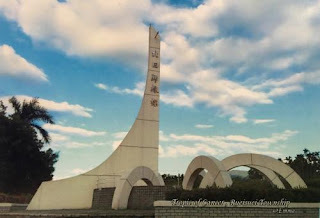 Two additional Tropic of Cancer monuments can be found in Taiwan at Shuishang (水上) Township, Jiayi County (嘉義縣), and Fengbin (豐濱) Township, Hualien County respectively. Many people always like prefer Karachi Escorts, and they enjoy forever to find their ideal one. Our Escorts Agency in Karachi offers a lot of gorgeous Pakistani models Escorts in Karachi Pakistan, which provides a lot of pleasure & fulfill their sexual hunger as they required.